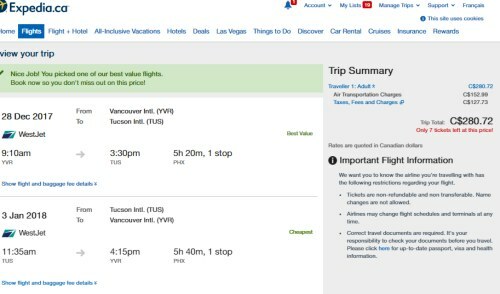 WestJet and American Airlines are showing flights from Vancouver to Tucson, Arizona throughout much of the 2017 and 2018 schedule for $276 CAD roundtrip including taxes. On most dates, I don't think these 1-stop flights (connecting in Phoenix) would be worth it over, say, a similarly priced non-stop flight from Vancouver to Phoenix. 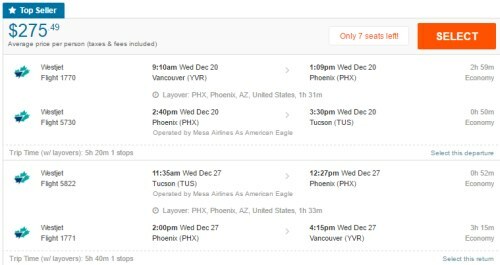 But there are currently peak Christmas and New Year's dates available for these flights to Tucson, which some may find attractive. 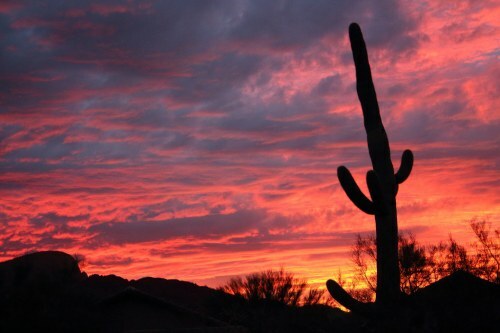 Tucson is about 2 hours south of Phoenix. 2. You will find that trying to click through from Google Flights to the WestJet website produces an error. However, these flights are bookable through other booking sites. vancouver, yvr, flight deals, westjet, american airlines, united states, north america, arizona, tucson and tus.